Like new in box with LWB; Deck never used. 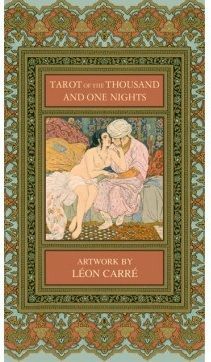 Adventure, magic, poetry, and love come to life in this Tarot deck based on the classic 1001 Arabian Nights folktales. Bursting with rich imagery relating to the Arabian renaissance, the exotic allure of these fairy tales bestows timeless wisdom to those who seek it.